Planning to get away from the city and just be surrounded by nature? Plan a trip to Sula Vineyards and stay at their newest property, The Source. The best thing about this property is that it is located at the Vineyards and you don’t have to travel in and out. 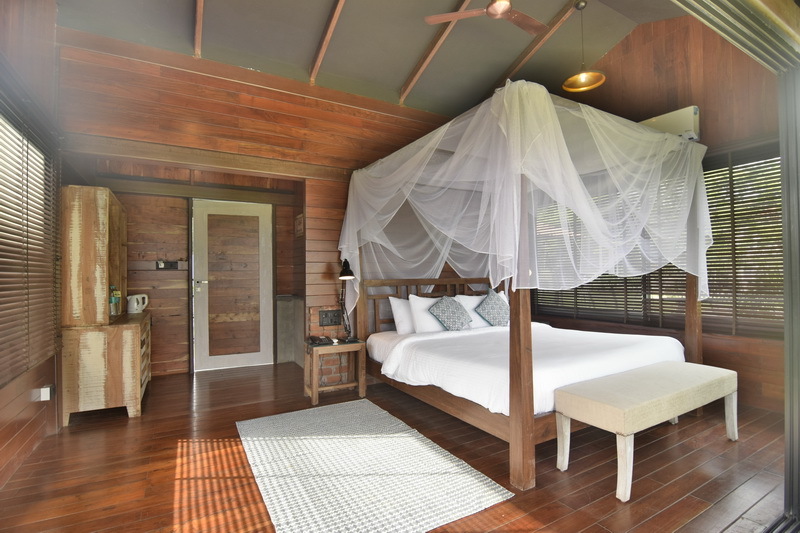 The Source at Sula comprises of 23 rooms, including the duplex which is called the Tower Suite and the Tree houses to make you feel connected to nature. What’s interesting is that the rooms are named after the famous wine growing region from across the globe. Booking: The Booking process was simple. We called them to inquire about the prices and types of room. The room that we were most inclined towards was the tree house. We made the booking over an email and after an online transfer of the payment, our booking was confirmed. 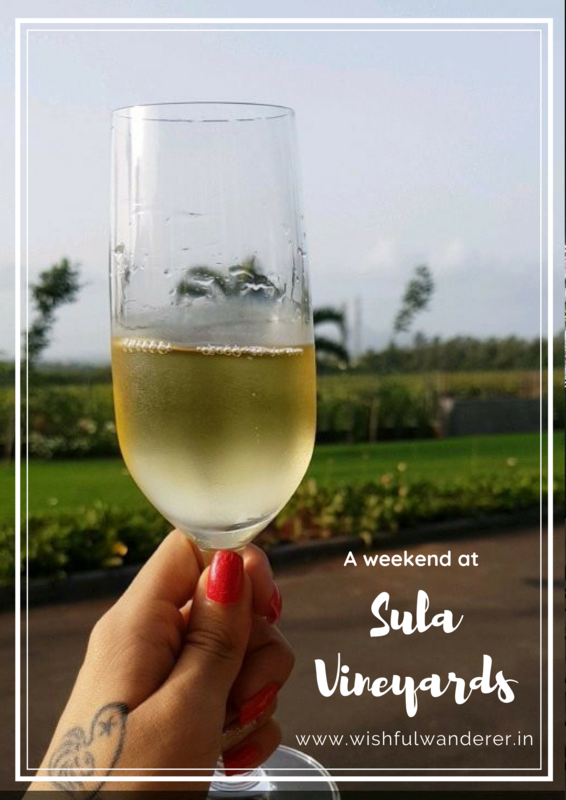 Travel: Sula Vineyards is located about 30 mins from the main Nashik city. A car is required to reach the vineyards since there is no public transport that takes you there. The treehouse was a comfortable room with a double bed, a balcony and a clean washroom. It was cozy, clean and had a great view of the vineyards. There is no television in the tree house, but we preferred it that way. Atleast it helps you connect with the nature around you. Also, even though our booking said wifi was available, we couldn’t connect to it from our rooms, this was quite annoying. Service: The only drawback was the service. From the wifi connection to the room service. The staff was terribly slow in resolving our issues. We hope these are teething issues. Also, we made a booking over the phone for a couple massage at their spa and on reaching the spa they told us that someone had already occupied the spa rooms. This was a big turn off for us as we were looking forward to our massage. We had to skip our visit to the spa altogether. Restaurant: The buffet breakfast was quite good. There was a range of dishes to pick from and freshly made eggs. There are two restaurants in Sula Vineyards, Little Italy and Soma. Little Italy serves Italian food and Soma is an Indian restaurant. Both are great options and go well with the Sula wine list. 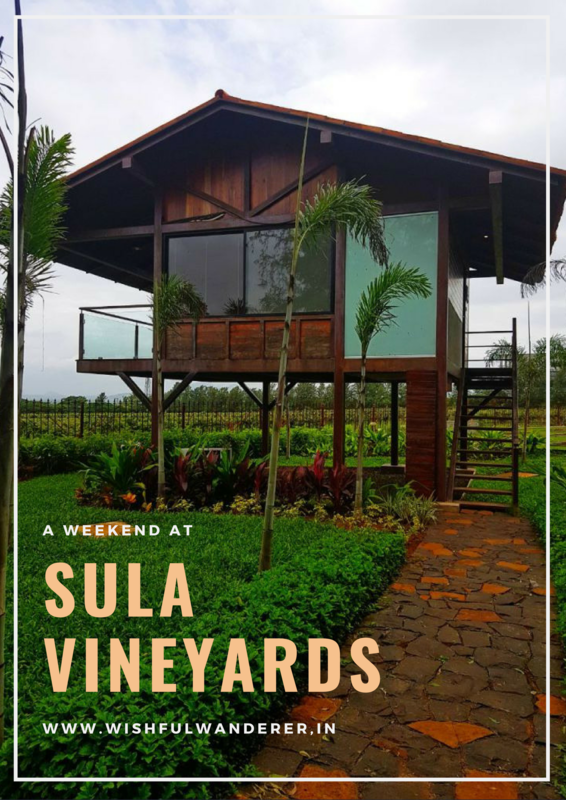 Overall, if you’re looking to spend a weekend cycling, swimming and sipping on some wine, don’t think twice before booking a trip to Sula Vineyards. Posted in India, nashik, Places to visit, Travel, Weekend Getaway, Where To Stay, World TravelTagged #TravelWithC, Chandni t, chandni tolani, featured, india, india travel, luxury resorts, maharashtra, monsoon getaways india, monsoon travel in india, mumbai getaway, nashik, nasik, nature travel, resorts, travel, travel blog, travel bloggers, travel blogging, travel diaries, Travel with c, traveler, travelers, traveller, trips, weekend getaway, where to stay, wishful wanderer, world travelBookmark the permalink. I’d love to spend a weekend getaway visiting a winery! That sounds like a great way to relax and unwind with family or your significant other. Too bad that the pool wasn’t very nice. Yes indeed, it was very relaxing! The idea of visiting vineyards is so wonderful! The location and atmosphere of The Source seems really nice and a perfect place to spend your weekend too! I hope they improve their services, especially by increasing spa rooms. A property on location at a vineyards… sound like our kind of place to stay, haha! The room looks amazing too. I couldn’t imagine a more relaxing holiday. I love trying new vineyards, this one looks beautiful. I love the hotel you have photographed, large rooms! I absolutely love the look of the wood/log cabin as well as the interior of the room! Plus it’s located on a vineyard, it must have been an exciting experience!